With 4 generous bedrooms that comfortably sleep 8 and boasts a large L-shaped lounge dining room, conservatory and kitchen with breakfast area. The property provides excellent facilities for 2 families with the master and second bedrooms both benefiting from an en-suite shower/wc with a family bath/shower room for the other 2 bedrooms. Recently built and finished to a very high standard situated within an enviable position offering spectacular sea views across St Brides Bay. 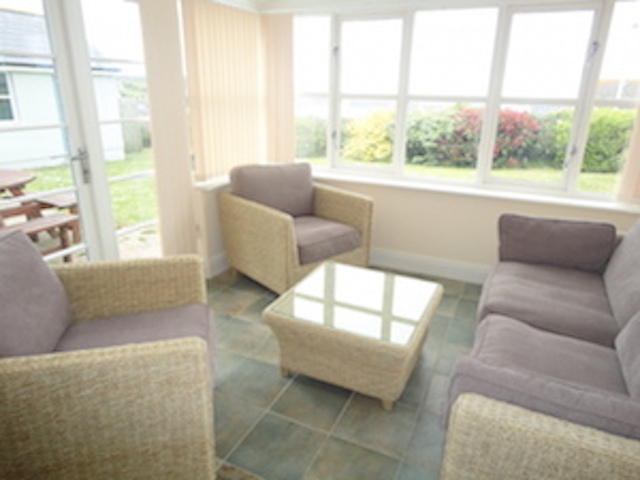 Located in Broad Haven and only a short walk from its popular beach. One small, well behaved pet welcome. Ground Floor Bedroom 1: With twin beds, wardrobe and bedside table. 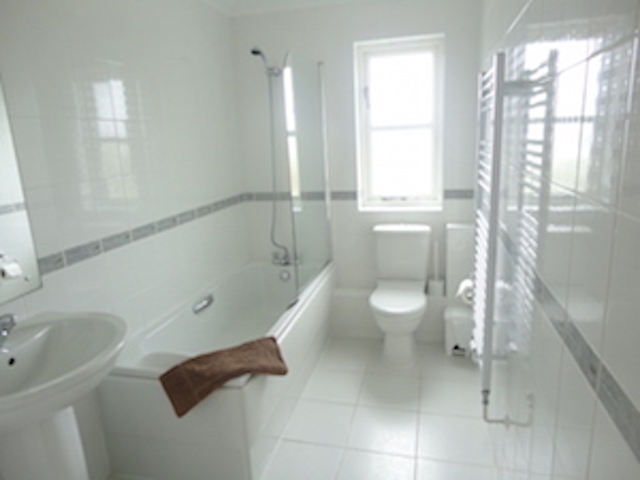 Ground Floor Bathroom: Bath with shower over, w/c, sink, mirror, heated towel rail, extractor fan and shaving point. Ground Floor Bedroom 2: With twin beds, fitted wardrobes, bedside table and mirror. 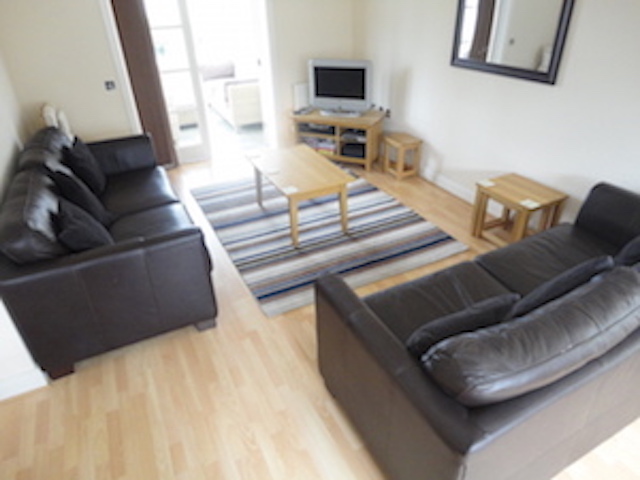 Lounge/Diner: 2 sofas, 2 armchairs, TV/DVD with freeview, CD, and selection of DVD's and CD's. Lounge area has a large table that will comfortably seat 8 people. Wifi is available via the BT hub. Kitchen: Fully equipped, built in fridge/freezer, washing machine, dishwasher, ceramic hob, oven and microwave. 1st Floor Bedrooms/En-Suite x 2: Double bed, duvet, pillows, built in wardrobes, leading to en-suite shower room with toilet, mirror, shaving point and heated towel rail. These 2 en-suite bedrooms are more or less identical. Garden: Enclosed with access via gate at side of house and door in conservatory. Parking: Parking for up to 2 cars is available on the driveway only. The garage is available for the storage of bikes, surfboards etc. Bed linen, jay cloth, scourer, tea towel and bath/hand towels provided. If second week booked, fresh bed linen and towels can be requested. Travel cot and high chair provided in property. Heating is supplied via oil fired boiler. We thoroughly enjoyed our third stay at Swanswell Close and look forward to our fourth hopefully in the not too distant future. Thanks. We had a great week. Lovely spacious and clean house. We will hopefully be back next year! Thank you very spacious for 5 people and all we needed was there, and lovely closed garden and great view from bungalow. Had a wonderful stay, this house ticked every box. We were two couples and one other so the 3 bathrooms were brilliant. One of our group also has mobility problems, and although this house wasn't advertised as such, suited his needs, although a walk shower in the ground floor bathroom would have been perfect. The weather was also brilliant, Royal Wedding weekend, such fantastic sunsets too! Will be back next year! We loved everything about this house and its garden with sea views. Two of our grandchildren and their parents joined us for the first weekend and they really enjoyed the space. Our Springer, Swci, loved the beach, but also enjoyed the conservatory and the garden. The house is finished to a high standard and very well equipped. All of the furniture is comfortable, which is important to us if we want to relax. I fell in love with the Master bedroom - the bed was lovely and room so spacious. We hope to be back soon! We had a great holiday at 18 Swanswell Close. The accommodation is excellent and very clean. The garden is also kept neat and tidy. There are lovely sea views from the back of the house. The owners have thought of everything you will need. We would differently use this house again. Our thanks to 'Stay in the Havens' who are very helpful. The house is beautifully situated and offers excellent accommodation. As always the Broad Haven sunsets are worth the visit alone. The whole family enjoyed the stay immensely and we all look forward to visiting again in the near future. 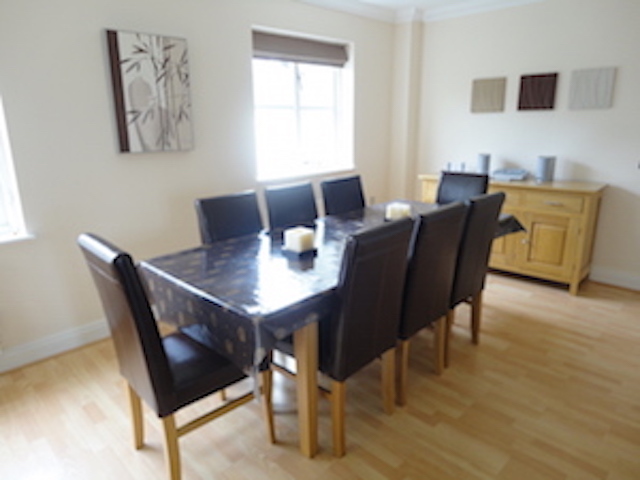 We really enjoyed our week in this very spacious and functional property, it was perfect for our needs. Thoroughly enjoyed our stay in 18 Swanswell close. House very well equipped, comfortable and well looked after. Convenient for beach, restaurant and shop. Stunning sunset. Lovely to eat in the garden. Good location for Skomer and Pembrokeshire Coast path. Many thanks. This is our 3rd time staying here and we had a fantastic weekend. Great house. We will be back. Thank you so much. Another wonderful holiday at Broad Haven. Great holiday in beautiful scenery, especially loved seeing all the seal pups. Great house with lovely views. We had a very enjoyable stay here. Fabulous weather, great location adn super house. A great base for visiting the rest of this wonderful coast. The best in Wales!!! Another lovely stay. Even if the weather a little autumanl! Well equipped home. New TV/DVD a big improvement! Fab stay as usual! Lovely house, fantastic views of Broad Haven!! Thank you! Excellent holiday and accommodation. Would reccommend! What a wonderful 2 weeks. BBQ's, sunsets, beach days and adventure. There has been something for everyone. 'The Havens' is a hidden gem along this beautiful coastline (hopefully it can stay this way!) and this house just puts the cherry on top. I'm sure we will be back and sill use 'Stay in The Havens' again! Thank you. Fantastic house, great views, weather fantastic adn really enjoyed our stay here at Broad Haven. No doubt we will be reccommending to our friends and family. Thank you so much. We have had a fantastic week here in Broad Haven. Weather has been lovely and sunny. We've explored out to Newgale, Solva, Tenby, Dale etc. Lots of choice for activities, places to eat adn places to go for a walk. The house has been great - everything we needed for a very comfortable stay adn good proximity and stroll down to the beach adn the shop/pub. We will definitely be back! Thank you. Thank you for your good accommodation, it was very comfortable. What a super house it was a real pleasure to walk in to! We have been to Broad Haven several times before but have still enjoyed our week here and would love to visit again. Thoroughly recommend a trip to St Davids and my daughter says the pasties from the delicatessen are the best ever! Only slight problem was finding the house as it has no number! Thanks so much. Lovely holiday home, very comfy, fabulous views and attractive area. A super holiday with daughter, son-in-law and our gorgeous and much loved grandchildren! Many thanks. One of our party was 40 and decided to do the Triathlon! It was tough. Great house and a great spot to get to the start. Lovely roomy house, very comfortable. Only downside was the boiler that insisted on coming on during the night and making loud noises which kept us awake. We rented this house for a weekend for a family wedding. We were very pleased with the house it was beautiful and had everything we needed and more. The only thing i can say is we didn't book for longer and didn't want to go home on Sunday. Many thanks we will definitley visit again.